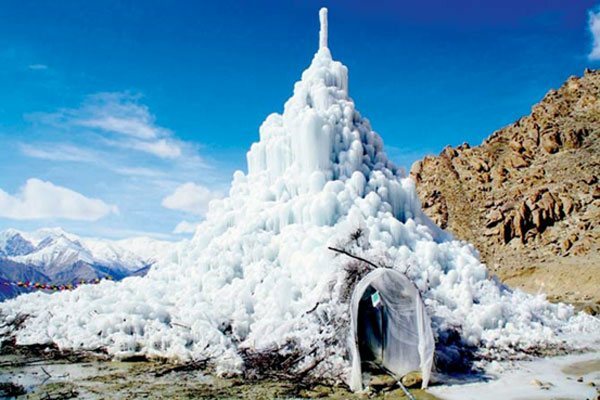 Climate change and “booming tourism”, have triggered water crisis in the high-altitude (11,000 feet) Ladakh. “Earlier, water from the glaciers would be enough, but with warmer summers, some of the glaciers have vanished altogether”. Meanwhile, Centre has officially acknowledged demand for potable water will outstrip supply by 2030. Uttarkashi (Uttarakhand) residents forced the state power firm to abandon a public hearing over a hydroelectricity project proposed next to a wildlife reserve after it “failed to provide” copies of the environment impact assessment in the local language: Hindi. Activists say “not even a single dam in Uttarakhand” has fully followed norms, or rehabilitated the displaced.